According to relevant statistics, each producing 100,000 gem-quality diamonds, which it may be one colored diamond, the probability of only one hundred thousandth. The pink, green, golden yellow diamond shines with unusual bright luster and become more precious and rare, regardless of age and Borders,it have captivate all people. There is a metaphysical point of view, those precious jewels diamonds, its worth for whole country, and always have associated with death and conspiracy, it is the ominous blood-stained items. 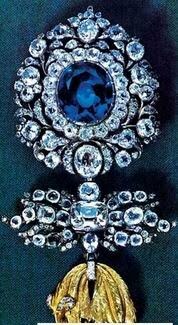 The French Tavi Mill have found a blue large diamond in the south of India and take it back to France, the unknown things was occured one after another, its owners were died mysteriously, its strange and twists experienced enough to write a novel. In 1958, the United States jewelers Winston have bought the jewelry heritage of Mackland. Ans become the new owners of Blue Diamond "hope" . A miracle had happened, Winston is not only safe and sound, jewelry business has also become exceptionally good, and later they have developed into the world's leading diamond brand "Harry Winston". Later, Mr. Winston have donated "Hope" diamond to the State, and now hidden in the Smithsonian Institute in Washington. From then on, "Hope" diamond stop for a few hundred years strange history. In 2009, the "Diamond King" diamond dealer Laurence Graff have bid a record 24.3 million U.S. dollars astronomical price bought the precious blue diamond that in European royal family 300-year history. 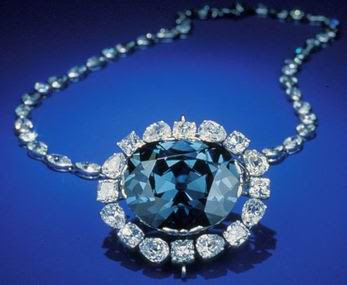 This rare blue diamond is prominent 17 century "Wittelsbach" diamonds, heavy 35.56 karats, both in color and clarity,it could comparable with diamond "hope." 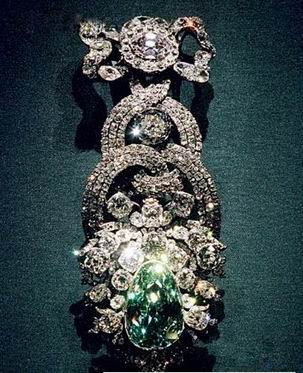 Around in 1743, Augusta have spent 60000 dip (about £ 9000) bought a pear-shaped weighing 41 karats natural green diamonds, diamond texture is pure perfection, according to legend,it was produced in the famous diamond producer - India's Golconda. The huge green diamond due to hidden in Dresden treasure Germany, hence get the name of "Dresden Green Diamond", after the Second World War, "Dresden" green diamond was shipped to Moscow, after a vagrant life,it was in 1958 returned. "Dresden" green diamond is the representative of green diamonds,which are usually considered companion volume of "hope" diamond, its value is difficult to measure. Though the weight of 41 karats is not the largest, but for their extremely rare green color into the world today,there is no one go beyond this largest green diamond.